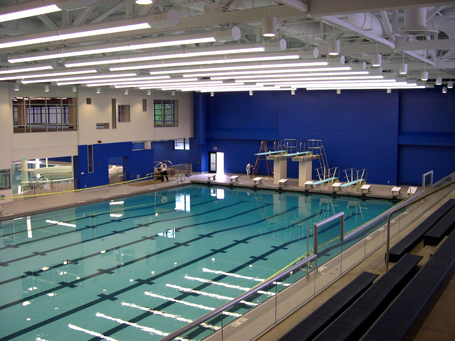 The new Gordon Field House and Activities Center, designed by the team of Cannon Design and Counsilman-Hunsaker, created a plan to seamlessly blend two bodies of water together to make the space as functional as possible. The end result is a diverse design that encompasses a variety of student interests. Named in honor of the generosity of Lucius “Bob” Gordon and his wife, Marie, the center accommodates the campus and community’s growing demand for more recreational space. It also provides event space for gatherings up to nearly 8,000 people.